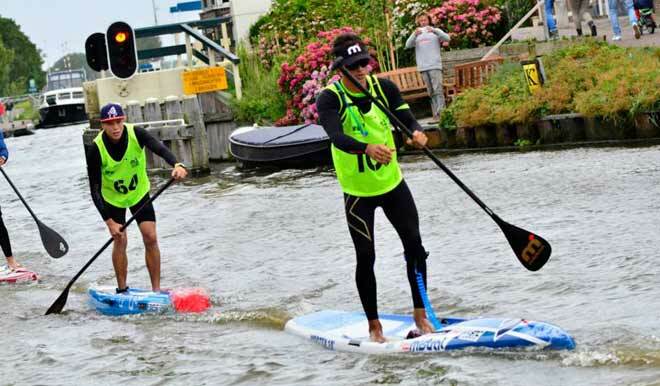 Steve Teihotaata of Bora Bora is relatively new to SUP, he has only been stand up paddling for about half a year but he made a name for himself by winning the 132 miles SUP 11 City Tour 2015 – 5 straight wins every day on the Mistral Vortex 14′. How is that possible you wonder? Well while he is new to SUP, he is not new to paddling. He is one of the world’s best V1 and OC1 paddlers, winning the Super Aito 2010, the Te Aito 2011, 2012 and the OC1 Solo Moloka’i in 2012, 2014 and 2015, finishing 2nd in the Super Aito 2015, by only 8 seconds to Jérusalemy Kevin Ceran. Steeve Teihotaata was known to me through his OC1 wins of Molokai to Oahu races in 2010, 2014 and 2015 beating the likes of Danny Ching. In addition he paddles with Tahiti’s EDT V6 (OC6) crew and a winner of the Molokai Hoe and many great races back in Tahiti. In addition he, is a Super Aito V1 winner and runner up – the most gruelling solo paddle craft distance event on earth. Growing up on the mythlogical island of Bora Bora, surfing and paddling, Steeve’s natural ability, led him to move to Papeete to paddle and train with his EDT crew. Read the full story on the Mistral Blog.